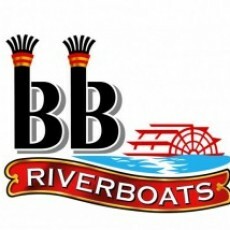 BB Riverboats is one of Cincinnati's top attractions and has served the area for over 3 decades. Cruise the open waters of the Ohio River for brunch, lunch, or dinner. Check 'em out for a chance to kick it with your crew for a themed boating adventure like Princess,Pirate or Super Hero Cruises. Both of our authentic riverboats are available for private charter and each boat has smaller private rooms to accommodate groups of all sizes. Come and see why everything is better on the river!